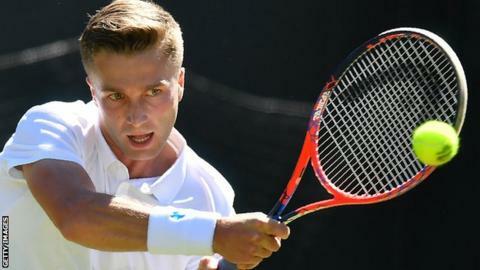 Britain's Liam Broady says he considered quitting the "dog-eat-dog world" of tennis last year as he struggled with his mental health. "I wasn't sure if it was what I wanted to do any more because I didn't feel happy as a person," he said. "I don't really like to complain about stuff and I only started to realise how much I was going through the motions towards the end of the year," he said. "I fell out of touch with a lot of people who care about me, which I think is probably a very guy thing to do. "On tour it's kind of a dog-eat-dog world, you don't want to show weakness to anyone else, you don't want to say you're struggling because they're trying to take food off your plate and you're trying to take food off theirs." Broady said turning to his older sister felt "weird" but spoke to the 29-year-old because he did not know who else to talk to about his feelings. "There's so much talk in this country at the moment surrounding men's mental health, and I think it's really important with the [suicide] statistics we have, so I was really glad he did reach out," she said. Broady's best performance in a Grand Slam came when he reached the Wimbledon second round in 2015 after coming from two sets down to beat Australia's Marinko Matosevic.